In 1989, CERN was a hive of ideas and information stored on multiple incompatible computers. Tim Berners-Lee envisioned a unifying structure for linking information across different computers, and wrote a proposal in March 1989 called "Information Management: A Proposal". By 1991, this vision of universal connectivity had become the World Wide Web! 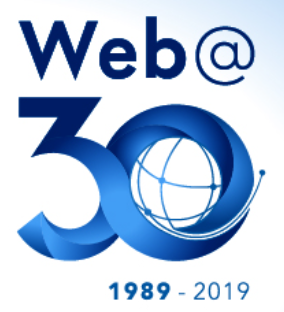 To celebrate 30 years since Tim Berners-Lee's proposal and to kick-start a wide series of celebrations worldwide, CERN will host a 30th Anniversary event in the morning of 12 March 2019 in partnership with the World Wide Web Consortium (W3C) and the World Wide Web Foundation. All you need to host a webcast is a suitable location - your institute, university, school, library, hospital, museum… register your viewing party, invite colleagues, friends and members and simply tune in to the Web@30 webcast! Find out more via the Web@30 website. Save the date to join us and stay tuned to discover more in the coming weeks!